Click photo for an enlarged image. to McLaughlin Hall and then to Etcheverry Hall (July , 2012) !! 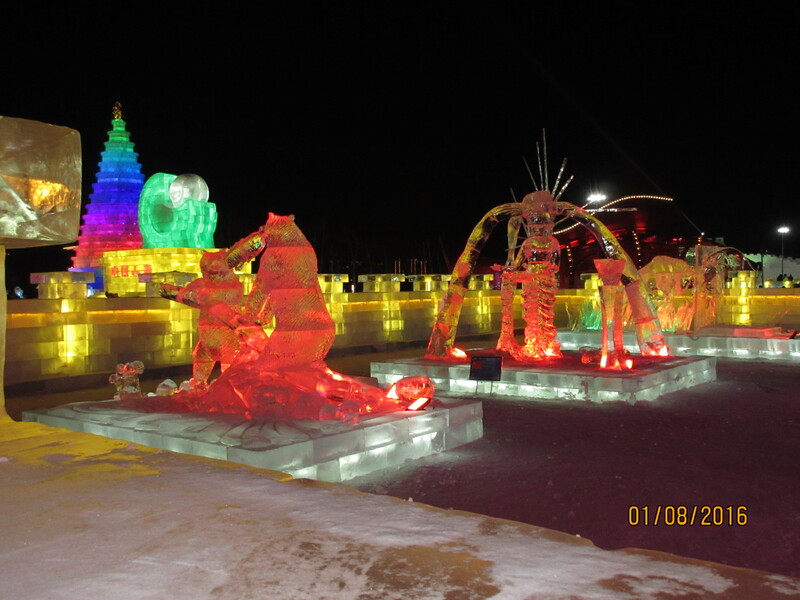 in an International Snow-Sculpture Festival of some 30 schools in January, 2016! on January 8, 2016 @ minus 23 deg C.
Professor Ronald Yeung: “Received the OOAE Division: ASME Lifetime Achievement Award," at the OMAE-2016 Conference, Busan, South Korea, June 21, 2016. 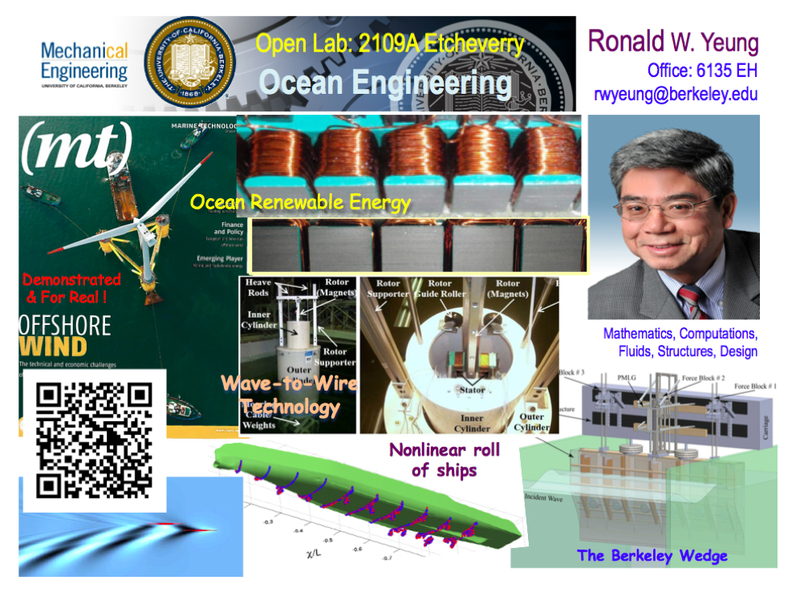 Professor Ronald Yeung: "Conference Chair of Offshore Mechanics & Arctic Engineering (OMAE) 2014," San Francisco, California, USA, June 8-13, 2014. Special Honoring Symposium: "OMAE-2012 Special Symposium on Offshore and Ship Hydrodynamics in Honor of Prof. Ronald W. Yeung," Offshore Mechanics & Arctic Engineering, Rio de Janeiro, Brazil, July 1-6, 2012. Inaugural Appointment of ABS Chair: "Inaugural Faculty Holder of the American Bureau of Shipping (ABS) Endowed Chair in Ocean Engineering", July 1, 2012; "Celebration of Inaugural Appointment," October 29, 2012. Honorary Professorship at Harbin Engineering University, Professor Ronald Yeung: "Conferral of Honorary Professorship at the Harbin Engineering University," Harbin, China, May 12, 2010. Best Paper Award of Ocean Renewable Energy Symposium, Offshore Mechanics & Arctic Engineering Conference (OMAE) 2009. Young, Yin Lu and Yeung, Ronald W.: "Hydroelastic Response of Wind or Tidal Turbines" , Award presented at the OMAE-2010 Conference, Shanghai, China. The SOBENA Award "Biennial International Researcher Award of the Brazilian Society of Marine Engineers (SOBENA)", Rio de Janeiro, October 14, 2008. Professor of the Year Award, "Pi-Tau-Sigma Honor Society of Mechanical Engineering," University of California at Berkeley Chapter, May 15, 2006. 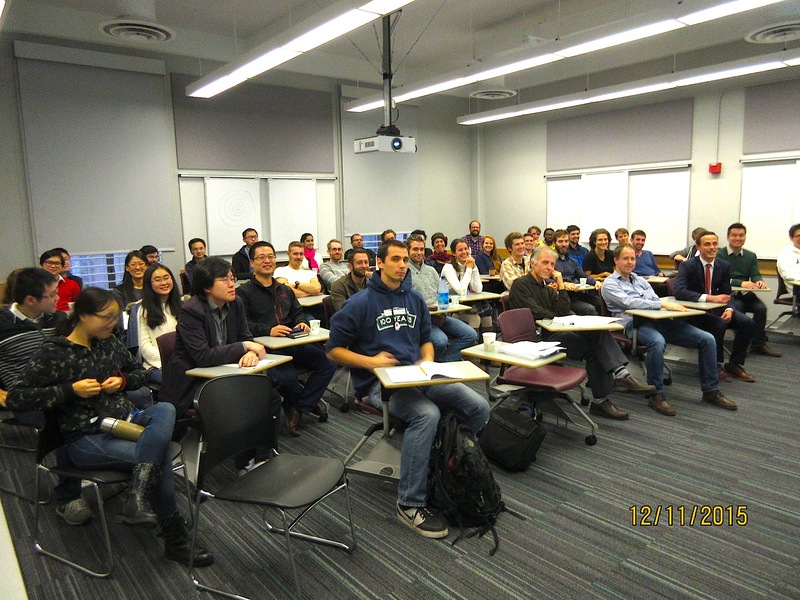 Best-Paper Awards Received by the "Berkeley MML Team"
Graduate Paper Honor Prize, Society of Naval Architects and Marine Engineers 2016, presented at Annual SNAME Meeting, Bellevue, WA, on Nov 4, 2016. 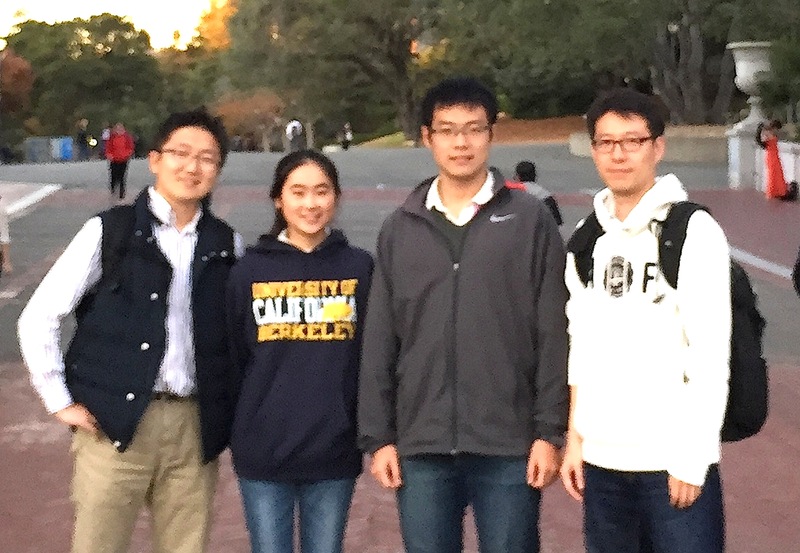 YU, Dongchi, "Numerical and Experimental Analysis of Wave-Resistance Reduction of Asymmetric Di-Hull Systems by Exploiting Interference Effects," Graduate Student Paper presented at The Society of Naval Architects and Marine Engineers, Northern California Section, March 16, 2016. Graduate Paper Honor Prize, Society of Naval Architects and Marine Engineers - 2014. Wang, Lu, "Nonlinear Waves Generation by a Moving Pressure Patch in Arbitrary Water Depth and the Implied Zero-Wave-Resistance (ZWR) Condition," Graduate Student Paper, Society of Naval Architects and Marine Engineers, Northern California Section, March 19, 2014, i+19 p.
BMML PhD Graduate Nathan TOM receives prestigious Offshore Mechanics & Arctic Engineering (OMAE) 2014 Subrata Chakrabarti Young Professional Award in recognition of Tom's technical work, "Non-Linear Model Predictive Control Applied to a Generic Ocean-Wave Energy Extractor" (OMAE2013-11247), presented in the Ocean Renewable Energy Symposium of OMAE-2013, in Nantes, France. The American Society of Mechanical Engineering - OMAE Division All-Conference Award was presented to Dr. Tom, in OMAE2014, on JUne 10, 2014. Graduate Paper Award, Society of Naval Architects and Marine Engineers - 2012. Cochet, Christophe, "Hydrodynamic Performance of a Compound Cylinder Extracting Ocean-Wave Energy," Graduate Student Paper, Society of Naval Architects and Marine Engineers, Northern California Section, February 22, 2012, ii+18 p.
Graduate Paper Honor Prize, Society of Naval Architects and Marine Engineers - 2008. Elkin, Jonathan D., "Hydrodynamic Peculiarities of Catamaran-Like Hull Sections", Graduate Student Paper, Society of Naval Architects and Marine Engineers, Northern California Section, February 20, 2008, ii+28 p.
Graduate Paper Honor Prize, Society of Naval Architects and Marine Engineers - 2006. Seah, Robert K. M., Resonant Modes of Rectangular Twin Hulls", Graduate Student Paper, Society of Naval Architects and Marine Engineers, Northern California Section, February 12, 2006, 20 p.
Graduate Paper Honor Prize, Society of Naval Architects and Marine Engineers - 2004. Poupard, G. and Toilliez, J. O., "Fast Evaluators for Optimal Mutli-hull Configurations", Graduate Student Paper, Society of Naval Architects and Marine Engineers, Northern California Section, March 16, 2004, 28 p.
Best Paper Award, ASME International - Ocean, Offshore and Arctic Division - JVW Symposium on Water Waves, Ship Waves and Marine Hydrodynamics, 2002, presented in OMAE 2003, Cancun, Mexcico. J. Andrew Hamilton & R. W. Yeung, "A Perfectly Transparent Spectral Shell for Unsteady Wave-Body Interaction", Proceedings of the 21st International Conference of Offshore Mechanics and Arctic Engineering, Oslo, 2002. Graduate Paper Honor Prize (National), Society of Naval Architects and Marine Engineers - 2002. Constantinides, Yiannis, "Vortex-Induced Vibrations (VIV) of Cylinders with Fins", Graduate Student Paper, Society of Naval Architects and Marine Engineers, Northern California Section, March 21, 2002, 34 p.
Graduate Paper Honor Prize (National), Society of Naval Architects and Marine Engineers - 1999. Liao, S.-W. and Roddier, D., "Simulation of Breaking Waves - Theory and Experiments", Graduate Student Paper, Society of Naval Architects and Marine Engineers, Northern California Section, April, 1998, 22 pp. 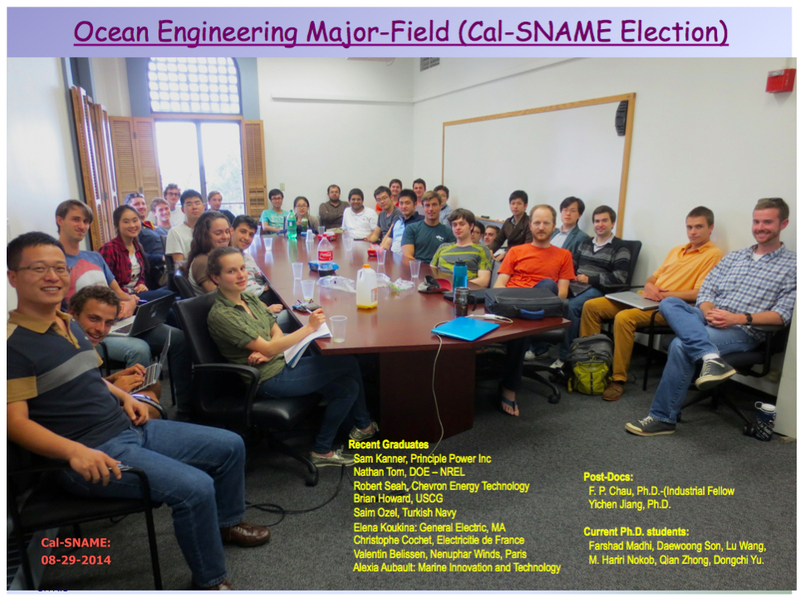 ASME International - Ocean Engineering Division - Best (Graduate) Student Project Award, 1998. Roddier, D. and Liao, S.-W., "Generation of Plunging Breakers - Laboratory and Numerical Simulations", Report OEGG-98-1, Ocean Engineering Graduate Group, University of California at Berkeley, July, 1998, 29 pp. Graduate Paper Honor Prize (National), Society of Naval Architects and Marine Engineers- 1998. Fotsch, A. R., "Inertia and Damping of Plates and Blocks in Finite-Depth Water", Graduate Student Paper, Society of Naval Architects and Marine Engineers, Northern California Section, April 10, 1997, 31 pp. Graduate Paper Honor Prize (National), Society of Naval Architects and Marine Engineers - 1995. Hamilton, J. A., "Shell Functions Methodology for Unsteady Hydrodynamics", Graduate Student Paper, Society of Naval Architects and Marine Engineers, Northern California Section, April 26, 1994, 24 pp. 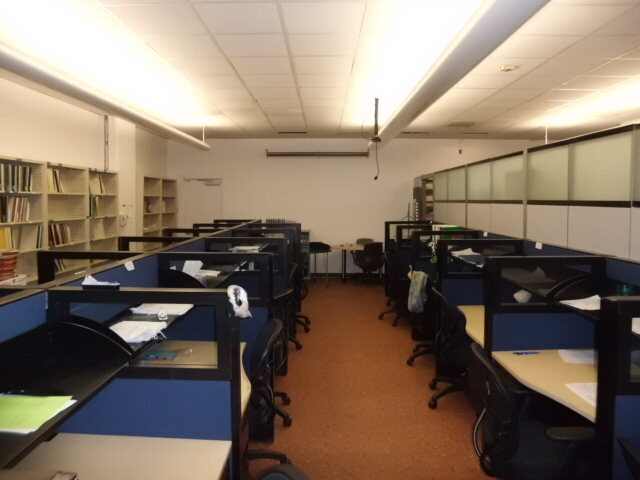 ASME International - Ocean Engineering Division - Best Student Project Award - Graduate Division, 1994. Yu, X., "Interaction of Transient Waves with a Circular Surface-Piercing Structure" ASME, Division of Ocean Engineering, Best Student Project Competition, August, 1993. Most Outstanding Paper Award for Significance and Originality in Ocean Engineering- ASME/OMAE Stavanger - 1990. Yeung, R. W. and Wu, C.-F., "Viscosity Effects on the Radiation Hydrodynamics of Horizontal Cylinders", Journal of Offshore Mechanics & Arctic Engineering, vol. 113, pp. 334-343, 1991. Graduate Paper Honor Prize (National), Society of Naval Architects and Marine Engineers- 1988. Jimenez, Craig,, "Hydrodynamics of Sailboards", Graduate Student Paper, Society of Naval Architects and Marine Engineers, Northern California Section, March, 1988. Samuel A. Kanner, Ph.D. Dec 2015, Development Engineer, Principle Power Inc, Seattle, Washington. Meghan E. Sinclair, MEng, May 2011, U.S. Coast Guard, Washington, D.C.
Jonathan Elkin, MS 2006, Jeppesen Maritime, Alameda, CA. Yiannis Constantinides, MS 2001, Chevron-Texzco, Inc, Houston, TX. Nick Caruso, MS 1988, Weathenroute, Cuperinto? Panos Kliafas, MS 1987, Athens, Greece? Richard Scott Graham MS 1987, Northrup Gruman? Wooi Tong Tan, SM 1979, University of Hong Kong?